What are the advantages of a professional End of Tenancy Cleaning service? It is such an exciting experience to move into a new home! Sure, packing and moving can be tedious processes. However, you cannot compare the feeling of satisfaction with anything else! The one feeling after you have completed all necessary renovation works, and then have unpacked and settled into your home. There is just one more very important thing to do before you can relax completely. Before you return the keys from your previous residence to the homeowner, you have to make sure that it is squeaky clean. Now, let us be honest – this can be a tiresome, time-consuming, even downright annoying chore. That is when Mega Cleaning’s tenancy end cleaning service suits best all of our clients in Redhill. You can rely on our professional house moving cleaners who know all the nuances and features of such an important task. We gladly help our customers achieve the highest standard of hygiene and order in all rooms. The professional end of tenancy cleaning in Redhill is a thorough deep clean and the best part is that it is not an hourly rate service. Which means that our cleaners will stay as long as needed to perfectly sanitise the property top to bottom. Moreover, we will bring all the necessary equipment and proven cleaning solutions. 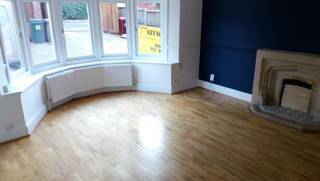 We guarantee the quality of the post tenancy cleaning services we provide! The most wonderful part of the End of tenancy professional cleaning we offer you is the 48 hours guarantee in Redhill that you automatically get. Along these lines, we can guarantee you that you will give back your property to your managing agency or landlord in a flawless way. Additionally, on the off chance that there is a missed zone during the tenancy cleaning, we will send back a team of cleaners for a free re-clean. Mega Cleaning fundamentally offers you a thorough move out cleaning with customer satisfaction guarantee, which implies that you ought not to stress over getting back your deposit from the landowner. Our guidance for you is to finish your End of tenancy clean after you move out. This may appear to be pointless, however many tenants clean while despite everything they live or work still in the home. However, there are many details you should pay attention to and leave this task for last. 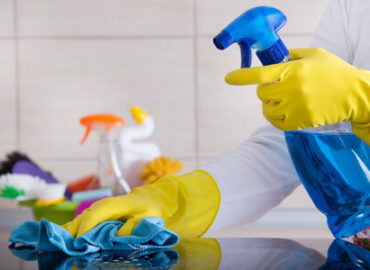 A very important point of the cleaning end of tenancy is that our specialists use only certified ecological and hypoallergenic cleaning supplies and professional equipment. This is our way of eliminating any dangers for our customers’ health. We promise there will not be any side effects or repelling odours. Furthermore, our cleaners are employing different cleaning techniques for different surfaces. Not to be overlooked that during the End tenancy cleaning, you will receive a free oven cleaning with a powerful solution. 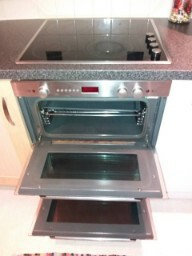 Actually, this is the latest and most effective method of cleaning grime and dirt and your oven will be just like new. To complete your house cleaning end of tenancy in the best possible way you can use the professional services of our expert carpet and upholstery cleaners. Thus you are not only benefiting from the amazing deals we offer you at the moment but also save a lot of time and effort. In addition, we do provide other comprehensive cleaning services in Redhill and Surrey such as After builders cleaning and One off cleaning (spring, deep clean). *Prices are approximate and may vary due to the size, layout, and condition of the property. 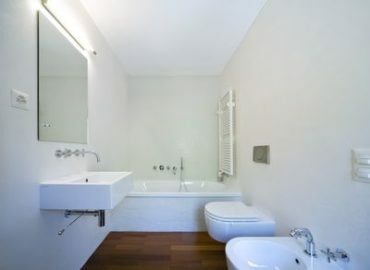 The professional end of tenancy cleaning prices Redhill includes just one bathroom and one flight of stairs (for properties of 2 bedrooms and larger). Therefore, please inform our office staff if there are any additional rooms. *Please note that property should be empty of personal belongings, there must be access to electricity and water and fridge and freezer must be defrosted at least 24 hours prior to the service. After you have submitted your booking, you can count on the timely arrival of our pro cleaning teams. They will bring the rooms to shine – full of freshness and cosiness. After a careful cleaning, all bacteria, microbes, and mites will have no more chance. The exact cost of all these services is determined by the size and condition of the property. Mega Cleaning in Redhill confidently provides services of highest quality to everyone – thanks to our valued experienced specialists. Contact us and book your professional guaranteed End of tenancy cleaning or Pre-tenancy cleaning now on 020 3637 7737!